I tried to keep my Christmas gifting to a manageable level and was able to finish everything in plenty of time for the holiday. I made fingerless mitts for my nieces and nephew. 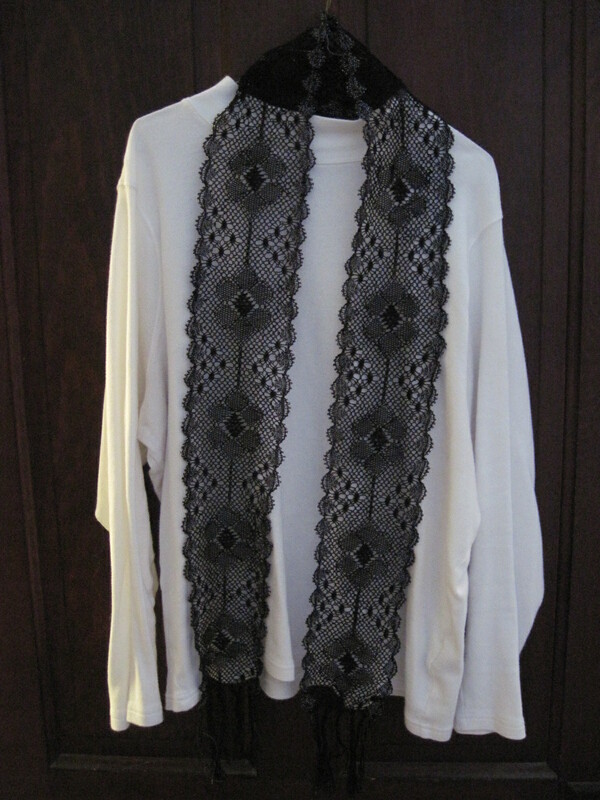 A bobbin lace scarf for my mom. I need to get a photo of her wearing it. Close up of the lace. It’s a ‘s Gravenmoerse pattern. It ended up about 60″ long and took me 60 hours to complete. Now for the first time in forever I don’t have any bobbin lace projects on pillows. I’m going to have to fix that really soon. I loved working on this scarf so much that I think I’m going to make one for myself also. 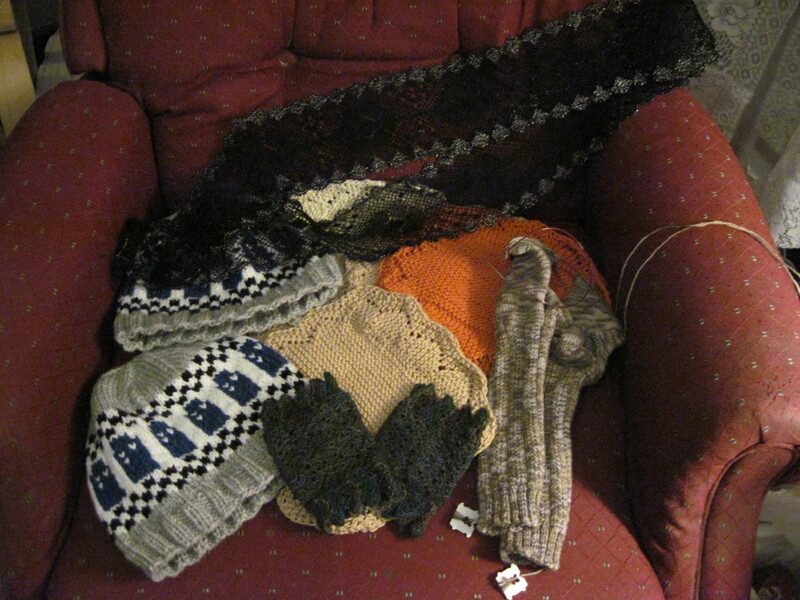 Also, two TARDIS hats (for son and nephew), lacy green Orenburg cuffs for my mother-in-law, and socks for Grandma. Yes, the socks were done in time for Christmas, but I took the photo early because I had to get the other gifts wrapped. I also knit a handful of Orenburg lace-style dish cloths. None of them ended up as gifts, yet, but I like to have them on hand. 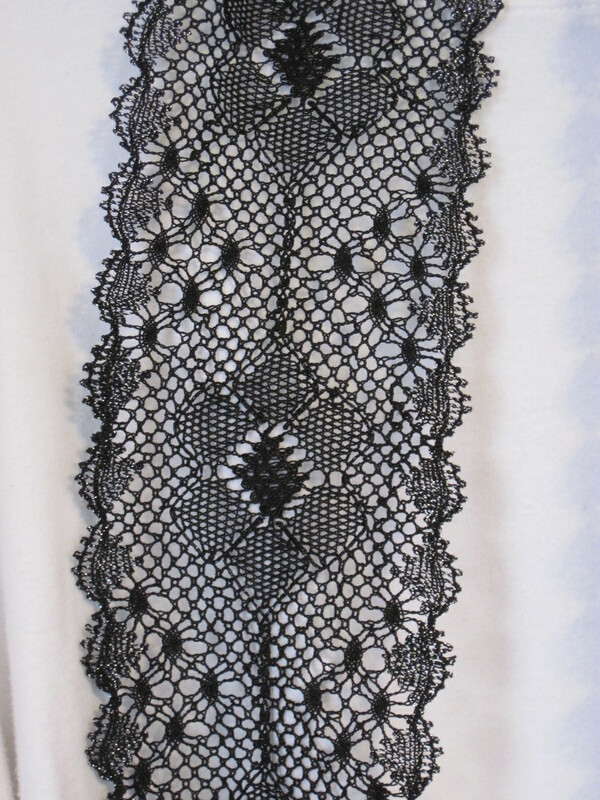 And they were great practice for my next project, an Orenburg lace stole, that I started on New Year’s. Thanks Erika! 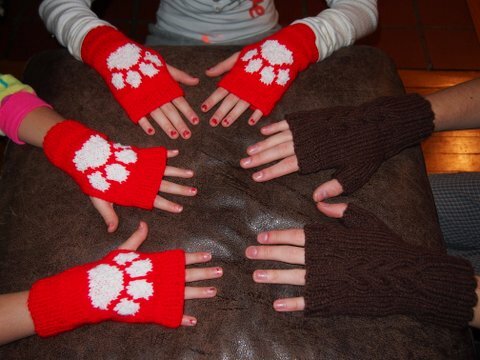 Those paw mitts are just a rectangle with the sides sewn up leaving a space for the thunb, so they can be done on straight needles. I have even done some where I knitted them plain and stitched the design on after the fact. The lace scarf is amazing! So delicate.